Find that sweet spot between business and pleasure aboard the Adeline’s Sea Moose, a 68-foot private yacht specializing in luxury boating experiences. 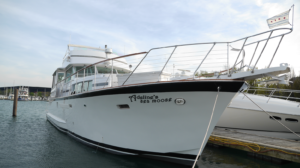 This extraordinary vessel can host up to 45 guests and includes a licensed captain and discreet crew members—perfect for a quiet corporate outing. The perfect corporate boat cruise Chicago starts here! Whether it’s for an event, a meeting, or for a day of team-building fun, Adeline’s Sea Moose offers fully customizable and exclusive corporate entertainment. Let’s take a look at how to plan a successful and memorable corporate boat cruise in Chicago! 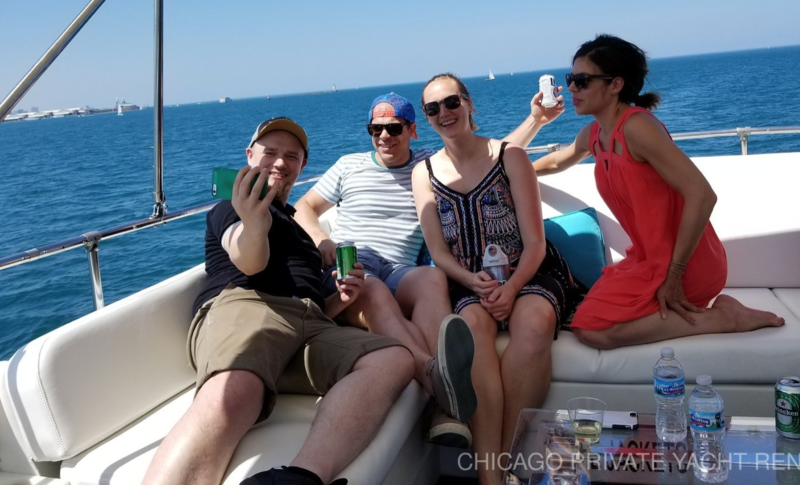 There’s no better way to break out of a humdrum office space than hosting a corporate boat cruise aboard a private yacht in Chicago. The calm waters of Lake Michigan, a stunning skyline, and a professional staff all come together to create the perfect venue to host a meeting, a training workshop, or corporate outing. 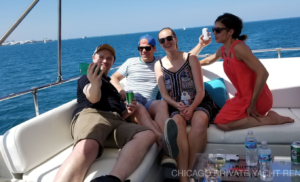 Adeline’s Sea Moose can either stay docked in Chicago’s historic Burnham Harbor or sail quietly along scenic spots in Lake Michigan for your corporate boat cruise Chicago. Team-building activitiesaboard this lofty vessel is a great way to get outdoors and get to know your team. Not only does it open the doors for communication and collaboration, but it also builds trust and can leave a long-lasting, memorable impact. Your corporate boat cruise Chicago can incorporate these creative and fun team-building activities, explore them and let us know which ones you’re interested in! You don’t have to be Michael Scottto throw a memorable office party for your staff. Adeline’s Sea Moose has its own team of professionals who specialize in planning parties and events complete with catering options, a top shelf bar, and music on the surround sound system. Let loose with a cocktail of your choice or a glass of wine, and lounge on the sky deck for great views and even better conversations. 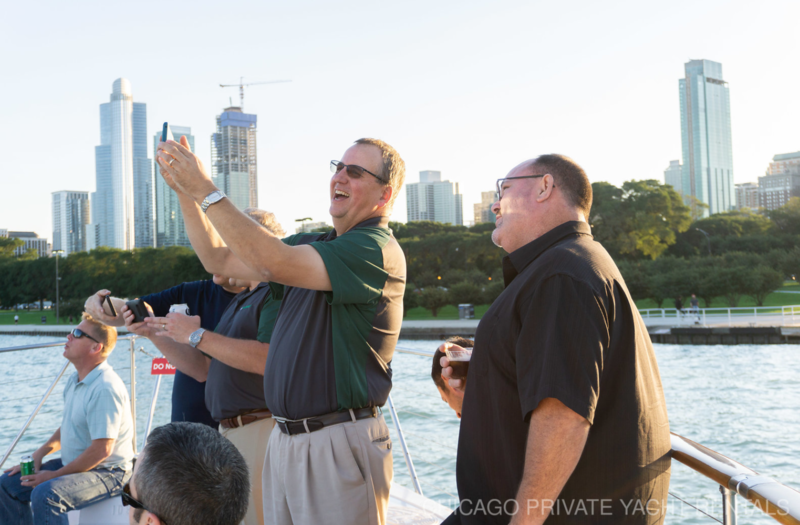 Host the most amazing corporate boat cruise Chicago this summer to engage your office. If you’re looking to shmooze an important client or recognize a valuable team member, what better way than on a classy private yacht? Adeline’s Sea Moose has a beautiful and spacious interior and exterior, making it the ideal platform to “wow” clients or show an accomplished employee appreciation. Book a corporate boat cruise this summer, our yacht can be privately yours for a day or a few hours. Private Chefs. Believe it or not, but having some tasty indulgences is key for a successful event. Take advantage of the private chefs and fully customizable menu Adeline’s Sea Moose offers. Projector and Screens. If you need to add some visuals to go with your presentation or speech, we’ve got you covered! Champagne Toasts and Top Shelf Bar. It never hurts to add a little booze to an event! Adeline’s Sea Moose offers champagne toasts and a premium top shelf bar equipped with a mixologist ready to prepare any drink. Chicago River Cruise. Our private yacht can sit stationary at our dock in Burnham Harbor or set sail on a river cruise past scenic Chicago spots. Drone Video and Photography. Whether it’s a party or low-key meeting, allow us to capture the important moments with photography and drone video. 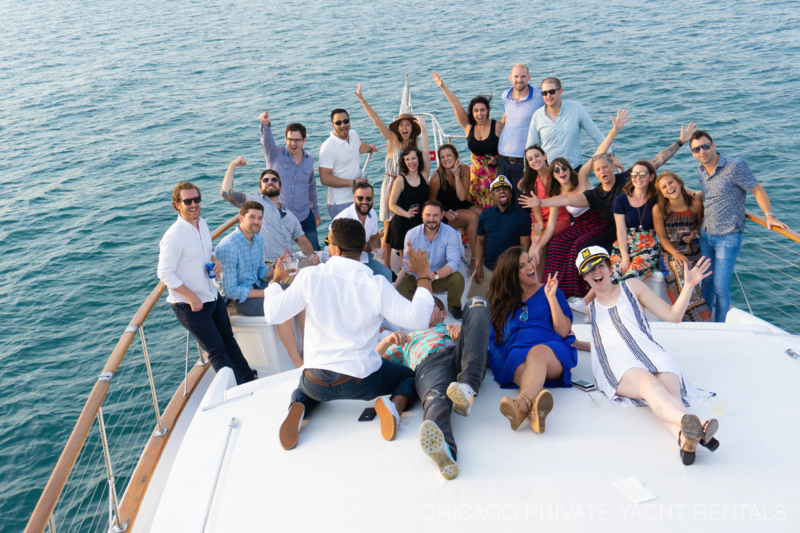 Hopefully you’ve been inspired to get creative and host the best corporate boat cruise in Chicago. Allow Adeline’s Sea Moose to host and plan your next corporate event for a luxurious experience of a lifetime.